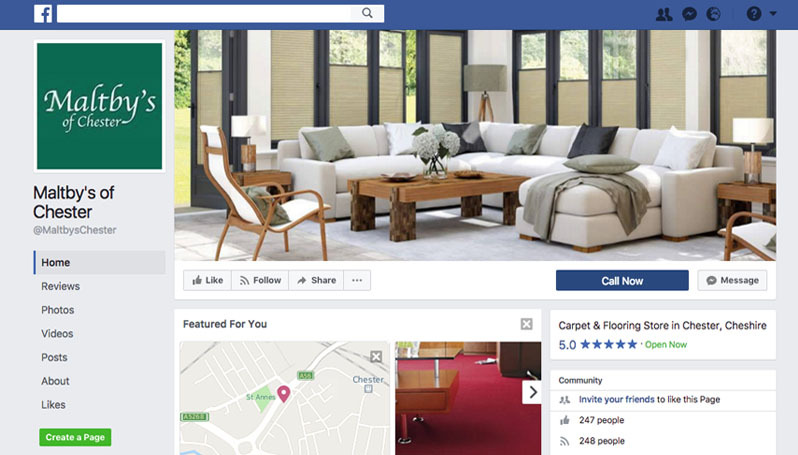 Premium carpet shop Maltby’s of Chester recently appointed de Winter to walk all over their social media channels, to boost customer engagement, and to drive sales of their carpets, flooring, blinds and beds. During the first four months of the campaign, de Winter targeted both consumer and commercial audiences in Chester and its surrounding areas, using organic social content across 3 channels as well as paid promotion on Facebook. We thought long and hard about taking on board an agency, however, since working with de Winter we’ve seen a fantastic amount of sales driven from our social media channels - we are delighted!